On the way back to New Zealand in September, I made a stopover in the Gold Coast to visit my sister and brand new nephew. During the visit we managed to go for a few short walks around the Gold Coast. I’m normally one for 3+ hours hikes, but it’s not so easy with a baby in tow. When I look back on four of the walks it’s crazy how different they are. Who said the Gold Coast was all glitz and glamour? I have documented them below with details of what you can expect, photos, and at the bottom there’s a map of the trailheads. I was lucky my sister was happy to drive us everywhere. 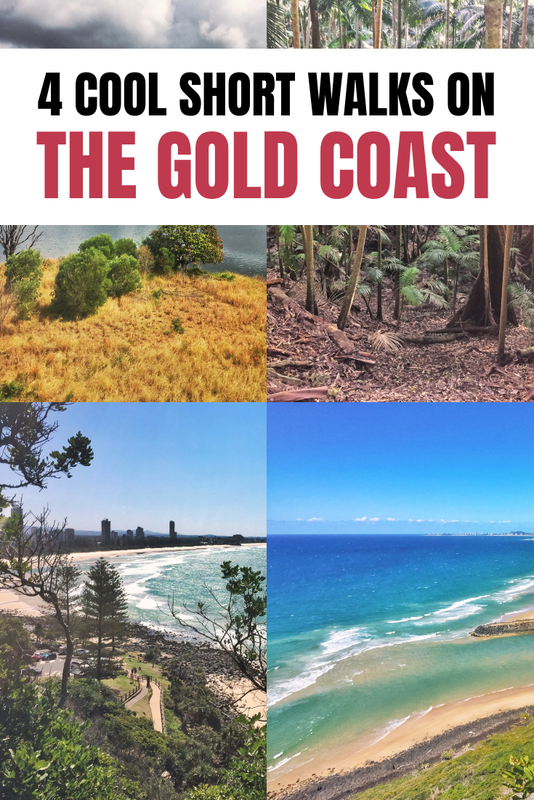 Normally I’m all for public transport but the Gold Coast is spread out and it would have taken a long time to get to and from each of these walks. Therefore it’s a good idea to rent a car on the Gold Coast. If need be, you can check the public transport options here. 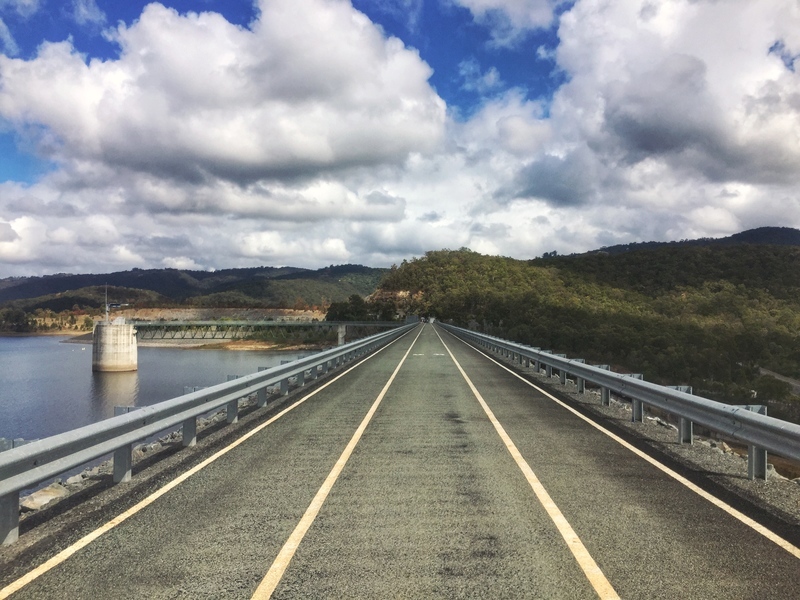 The Hinze Dam is a tourist attraction on its own, but they’ve also created a walking (and cycling) path along the dam wall. 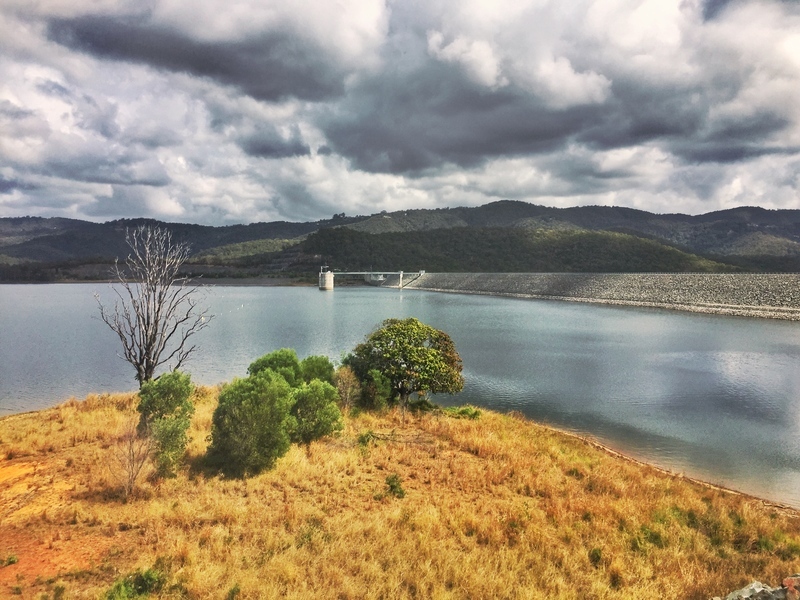 Initially built in 1976 across the Nerang River, the Hinze Dam went through significant upgrades in 1989 and 2011. The walk is dead flat and paved so there isn’t much to say about the walking track itself and you can walk ~1.5km each way along the dam wall. The views are awesome as the dam waters are surrounded by nature. I was impressed with the size of Hinze Dam, and it’s height is 108.5 metres tall. That’s nothing compared to some dams around the world with the Nurek Dam in Tajikistan is 300 metres high. With the dam providing such an important service, the risk of the dam breaking would be catastrophic. Therefore there are four staff members who know the dam inside out and keep a close eye on how it’s holding up each day. They are a dam supervisor, two dam operators, and a maintenance supervisor. There are 180 pressure sensors inside the dam core that measure the water pressure at all times. Quick Tip: Do this walk in the morning, there’s zero shade on the walk so it can get super hot in the afternoon. On my visit the Ocean View Track was closed, so I did the 2.3 km Rainforest Track loop starting from the northern entrance. Walking at a fast pace, it took just under 30 minutes to complete (it’ll take roughly 45 minutes if you’re going for a casual walk). The rainforest is gorgeous, though the only wildlife I saw was bush turkeys haha. There are plenty of people on the trail, but compared to the number of people on the beach it’s nothing making it a nice break if you’re spending the day in the area. There are two lookouts along the way. 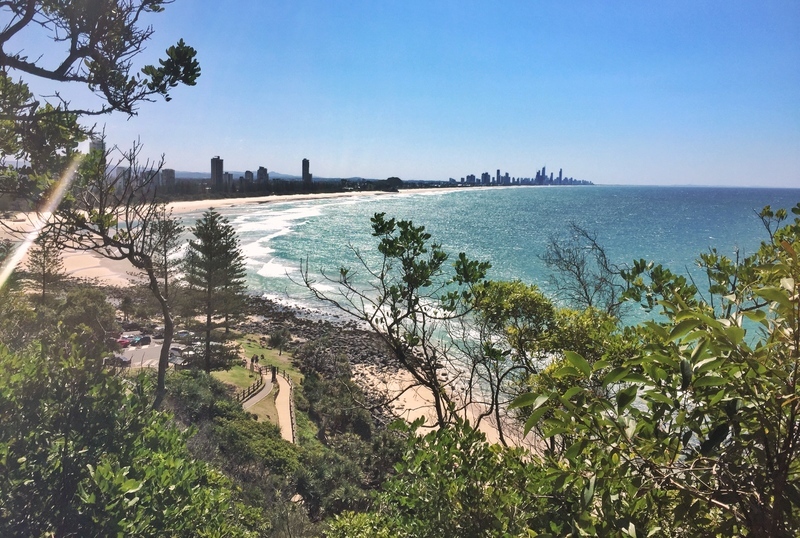 The Jebbribillum Lookout is only a 5-10 minute walk from the northern entrance (there are a few flights of stairs early on) and looks out north over Burleigh Heads Beach with the ever-present GC skyline in the distance (the second photo above). Another 5-10 minutes further along the track is the Tumgun Lookout (first photo above). It’s the steepest section of the walk, but you’re still less than 100 metres above sea level so it’s not exactly hard. The view from here is amazing as you look south over the Tallebudgera River, Tasman Sea, and miles of beaches. Apparently you can see whales from here in the winter and spring, but I picked a windy day to walk and would have had a hard time picking out the whales breaching in amongst the white caps. 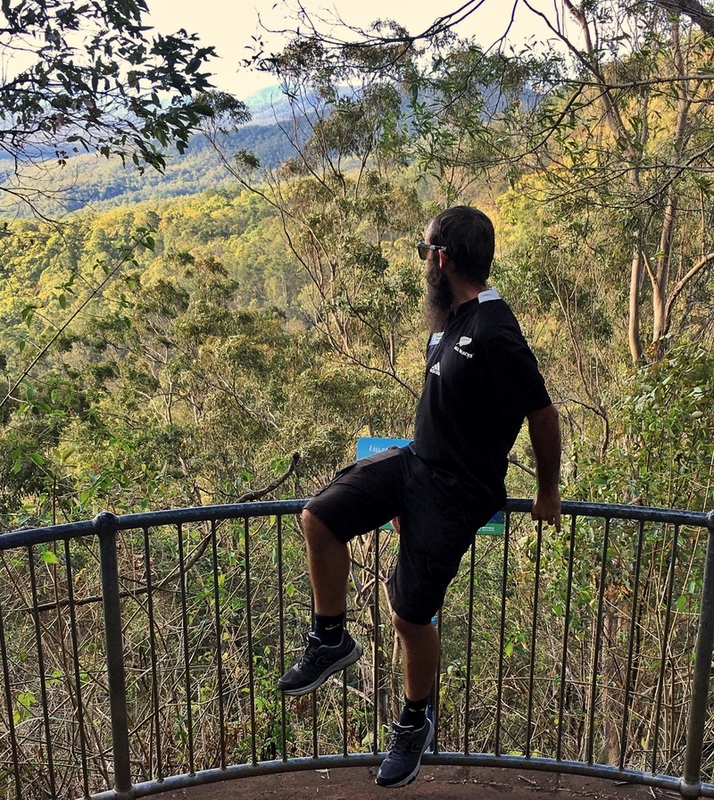 If you wanted to minimise the distance you walked, you’d turn back once you get to the Tumgun Lookout. If you’re looking for a nice place to eat afterward, Feed The Earthlings is an awesome vegetarian restaurant nearby. They have churros! There are lots of hiking trails on Mount Tamborine, but I liked this one in The Knoll section of the national park for a few reasons. There’s an epic viewpoint, it’s off the beaten path despite the easy access, and you can sit at the edge of the waterfall. I can’t find any information on the height of Cameron Falls but I’m not going to lie, it was quite the buzz sitting on the edge (be responsible etc). It certainly got my attention after being disappointed by the trees blocking the view from the waterfall viewing platform. The Sandy Creek Circuit is 2.6km long with only minor elevation changes through the rainforest. The signpost at the entrance says the walk takes about an hour, but 40 minutes is more realistic. We walked the track in a clockwise direction and the rainforest was so dense and we saw a snake! I would have walked past it hidden in the bush if it wasn’t for the sisters eagle eyes. The trail condition is great and clearly defined, there are no issues with getting lost. If you’re like me and look at maps on your phone way to often, you can see the Sandy Creek circuit on Maps.me but not on Google Maps. Now that you’ve earned a beer, head to Fortitude Brewery, it’s great on a sunny day. 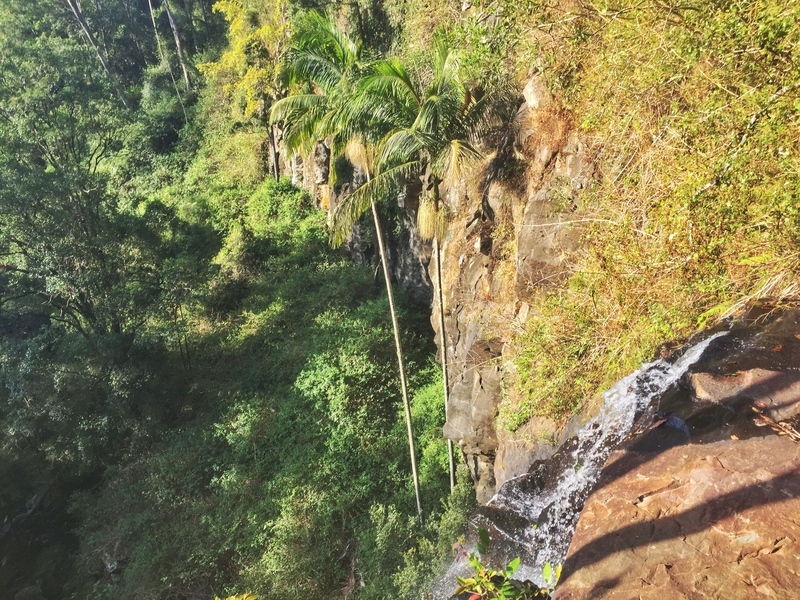 The Gold Coast Hinterland should make its way onto every Aussie road trip itinerary! I wasn’t too sure about this walk to start with but the sister said it was one her favorite spots to visit (she lives a 10-minute drive away). The Esplanade has a stretch of parkland following the road with a pavement along the shoreline. There’s a stretch of shops on the other side of the road including a fish & chip shop (winning) so it’s a good spot to have an affordable takeout lunch on the Gold Coast without sharing the place with hundreds of others. The Esplanade is flat and there’s no tourist drawcard to the spot meaning it’s really peaceful and relaxed. 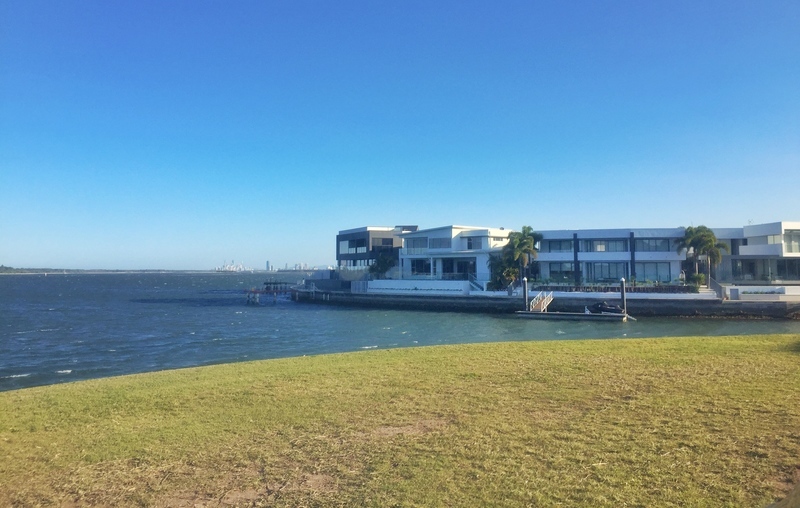 The walk soon gets interesting when you cross the bridge over to the Sovereign Islands, one of the richest suburbs in the country. All the houses are built on little islands that are all connected. You’ll see lots of fancied boats moored in front of million dollar homes. You’re definitely not there for the adventure, it’s more for being nosey and slowly shaking your head when you think about the price of some of the homes. Of course, you can see the Gold Coast skyline as well as up towards Brisbane. 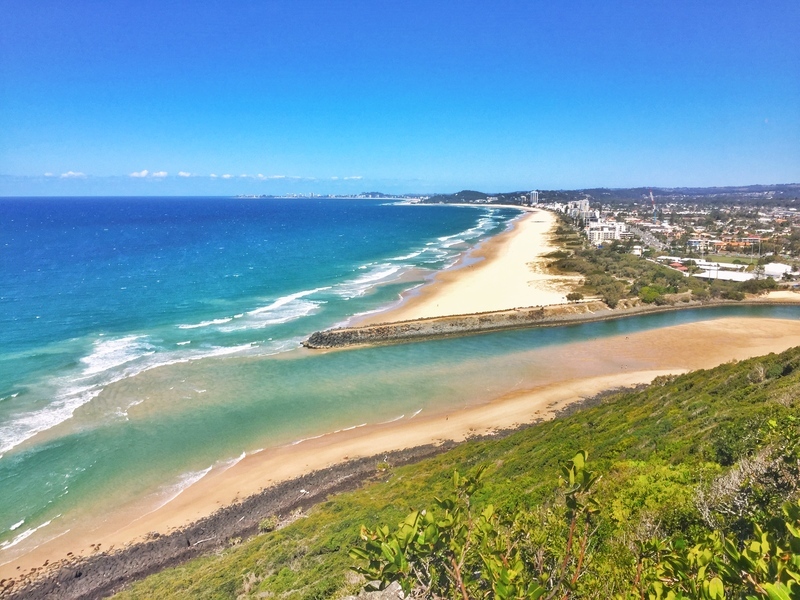 These short walks on the Gold Coast are all so different right? If you’ve got any questions, do let me know. I’ll be returning to Gold Coast somewhat frequently (hey sis), so if you have a favourite Gold Coast walk I should check out, let me know! The range around the Gold Coast floors me Jub. Looked gorgeous as we laid over there but for like 50 minutes, heading to Auckland. Noted for future trips.